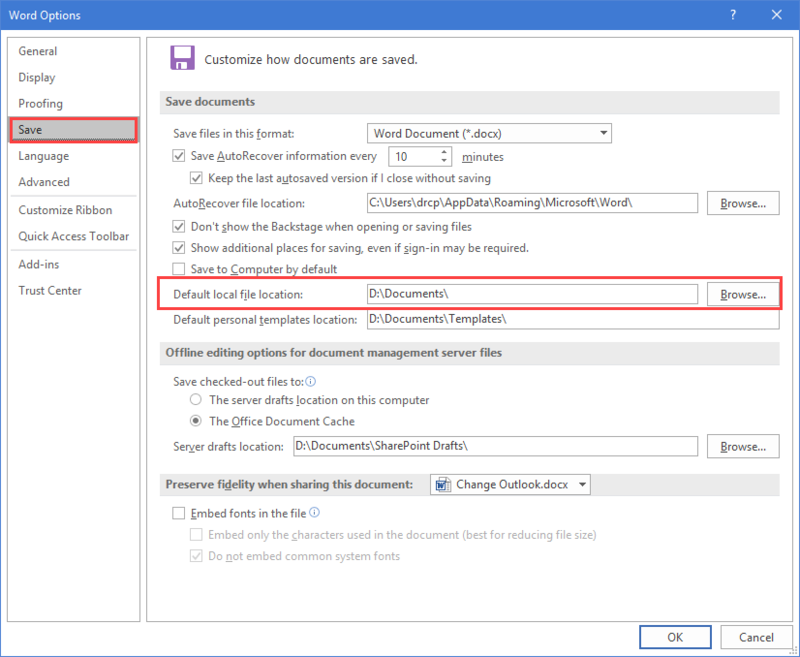 Did you know you can change the folder Outlook uses as the default folder to save attachments? 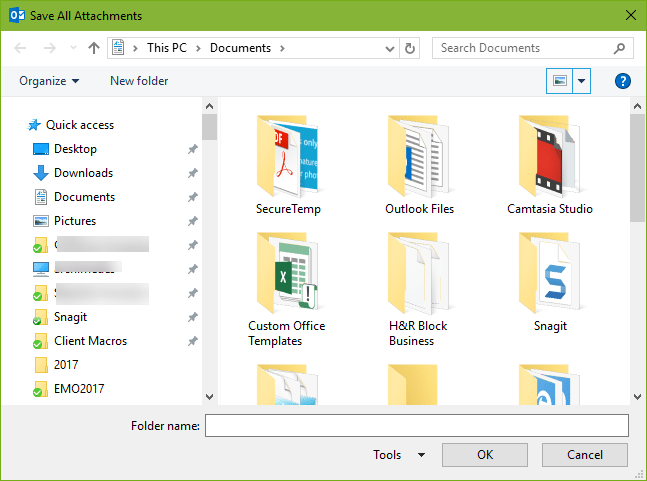 Instead of changing the folder path, add the folders you use most frequently to the Quick Access list in Windows Explorer. To change the default location for saving attachments, you'll need to edit the registry. Right-click on DefaultPath and choose Modify. Paste the attachment folder path in the Value Data Click OK to save the value then close the Registry Editor. Note that this is sometimes buggy. If the path does not exist, Outlook will use the default set in Word. There is a bug in Outlook 2016 where Outlook may use C:\Windows\System32 instead. This works with Outlook 2003 and newer, but you'll need to use the correct Office version number in the registry path. To change the path that the Office applications use for Open and Saving files, and Outlook uses for Insert Attachments, Browse this PC, open Word or Excel's Options. 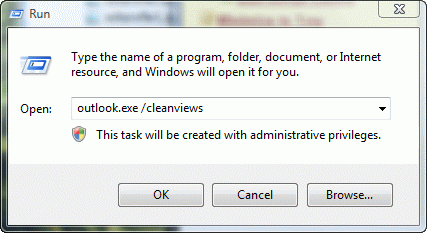 On the Save dialog, change the Default location file location. It's not quite as fast as changing the default folder, but won't negatively affect Outlook or other apps. Published August 16, 2016. Last updated on April 7, 2017. 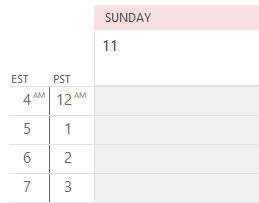 This appears to have broken Outlook. 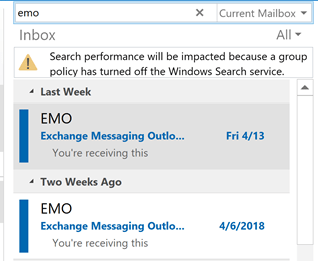 Since this change, Outlook will not open (hangs on the "loading profile" splash). Removed edited key and still won't open. Awesome. It could just be outlook is broken. 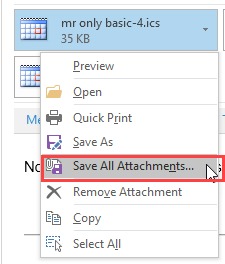 :) It shouldn't affect outlook - since its only the attachment folder you are changing. What type of email account do you have configured in Outlook? POP, IMAP, Outlook.com, or Microsoft Exchange? Tried above did not work. Instead, Outlook attachments if opened and then try to save them, starts with default in windows folder under INetCache/Content.Outlook. When I opened reg edit again, it is still there as you specified but not working. Maybe due to latest Outlook patches? I have version 1901. I will test it in current versions, but honestly, its buggy. Does not seem to work long term. I changed the value data to direct to my desktop, and it seemed to start working, but after some time it starts defaulting to another location. The original edit I made to the registry is still there, it's just not working. After I go back into edit the registry and confirm it is correct it starts working correctly again. Very annoying, and kind of defeats the purpose of setting a default value if I have to go back in and manually reset it periodically. Yeah, it's buggy. I prefer putting most used folders in quick access or shortcuts to them in documents. Just wanted to chime in and say THANK YOU VERY MUCH. This worked like a charm. So funny that adding the path in regedit works for changing Outlook's default attachment save location. Why wouldn't that be an option in the GUI settings?! Outlook uses the path office uses but if you want a different path for attachments, you need the key. It's not exposed in outlook because they don't want to encourage people to change it. Agreed with James - THANK YOU! So clear, even a novice like me could accomplish this and save myself many clicks. Much appreciated!